This entry was posted in English and tagged Bible, translation. Bookmark the permalink. 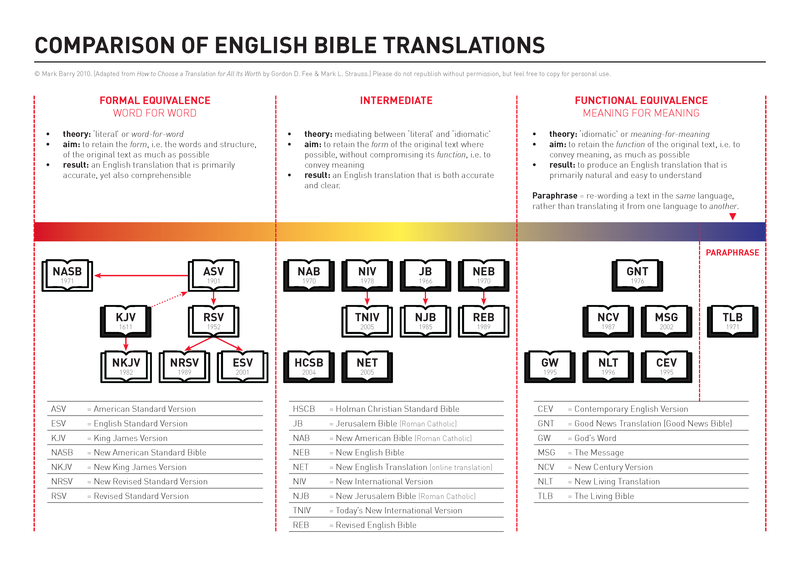 time to update – maybe an arrow from both NIV and TNIV to NIV11. Nice, clear display. However, there is an error. The Message is a translation, not a paraphrase. Thanks for the pick-up, Ruth. You are indeed right. Though the Message is often viewed as a paraphrase, it is technically a translation, albeit a very loose, ‘idiomatic’ one. May I please use this for a Women’s Bible Study this Fall? I love your stuff! The timeline you let us use last year was hugely helpful!